How often do you use your smartphone now as compared to 10 years ago? Probably a lot more. Today in fast-paced technological world, mobile devices are becoming the preferred way to browse the internet. People buy their groceries, order things to their home, and schedule their doctor’s appointments right on their phones now. Are you giving your customers the best possible experience both online and on their mobile devices? Mobile devices are changing how people conduct research on the things they want to purchase, as well as how they discover. 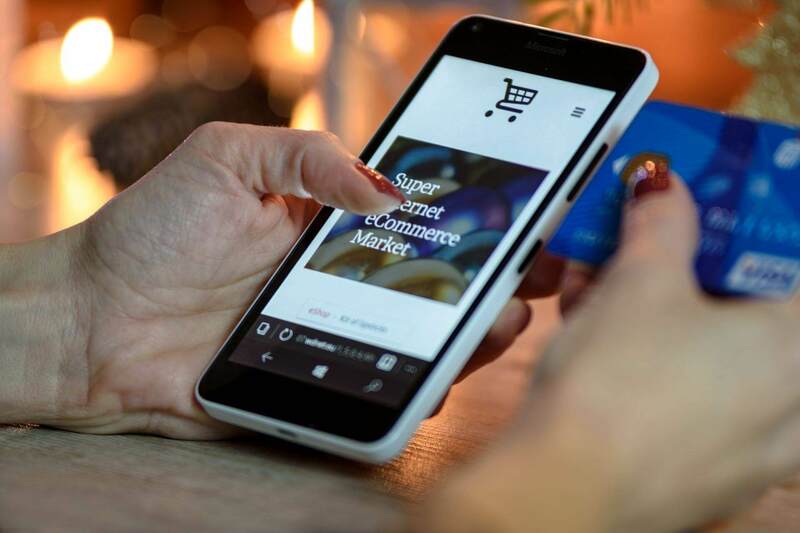 According to a study, 71% of respondents admitted to using their phone during the purchasing process, and 58% said that in their future they only intend to use their smartphone to research for their purchase. 62% said that if they could complete the entire purchase process online, that they definitely would. With that number of customers using mobile devices for their purchases, having a responsive and mobile-friendly website is more crucial than ever. Not only will optimizing your website for mobile devices increase your likeliness of gaining new customers, but it will also increase your SEO rankings. Part of Google’s ranking system is based off the usability and experience of the user. Mobile devices also make it easier for customers to share information or links from your website to their friends and family. However, there are some points where smartphone and tablet users say that their experience is lacking. Mobile users say that desktop works better for customizing vehicles and watching videos. So, how can you meet the needs of your mobile customers better? Manchester Web Solutions has created a list of five ways to improve your website and marketing strategies to reach mobile users better. To learn more, keep reading this article. Make sure Website is Responsive and Mobile Friendly – A horrible mobile experience, including slow loading speed or hard to read text, can cause users to right away exit the web page. Don’t lose potential customers! In this day and age, your website needs to run smoothly and seamlessly across all devices, from desktop to mobile and even including tablets. You can use Google’s Mobile-Friendly Test to see if your website performs well on a mobile device. If your website isn’t passing the mobile-friendly test, Manchester Web Solutions is happy to help! All of our websites are responsive, custom designed, and mobile friendly. To learn more, click here. Reach people in the early stages of the purchase process. Driving brand awareness and bringing more attention to local customers will help you have a higher chance of being the customer’s choice, which brings us to our next point: ads. Create or tailor your ads for mobile users. On Google, Facebook, Instagram, and more, you can. Create ads that will specifically target mobile devices As opposed to desktop ads, mobile ads have different requirements including the image size and the way the text appears. Phone numbers and direction extensions from mobile ads are more likely to be called than on desktop ads because of the convenience factor, so make sure to include them. Have plenty of photos on your website. Additionally, we highly recommend getting videos uploaded if you can. Mobile customers tend to look for videos to help them determine what car they should buy. Make sure the images and videos are responsive and high in quality. Users shouldn’t have to pinch to zoom in or scroll sideways to be able to view the photos or videos. At Manchester Web Solutions, all of our websites are made to work seamlessly across all devices. We are happy to help you meet the needs of your mobile customers better. For more information about our responsive and mobile-friendly websites call us today at 0161 231 3131.